I was surprised that no food-savvy people could recognize the hunk of meat above as that Puerto Rican staple, Pernil. For those who are still unaware of pernil’s allure; it is slow roasted pork shoulder embedded with garlic and topped with oregano and olive oil. 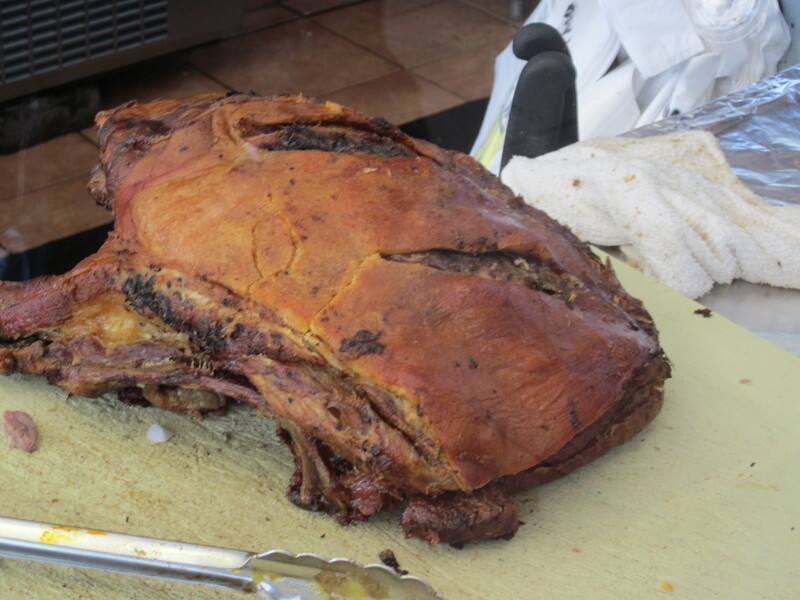 The pernil above was from La Lechonara Criolla in the Bronx. I can personally attest to the meat’s succulence and the perfectly crisped fatty skin which I, without a shred of guilt, devoured heartily.